Green polyethylene is made from ethane derived from sugarcane. As the raw materials for green polyethylene are completely renewable they are completely CO2 neutral. GreenPolly offers the same strength and durability as conventional oil-based polyethylene but its use will significantly reduce the carbon footprint of your business. GreenPolly is suitable for food storage in industry as it is certified as food safe. Recycled polyethylene is made from recycled plastic, collected from throughout Europe, and reused to create new products. By reusing plastics already in existence, RecyPolly reduces the amount of new plastic being created and therefore makes a significant contribution towards reducing CO2 emissions. 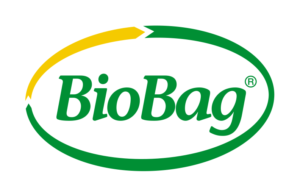 In addition to our compostable and environmentally friendly offerings, Dagöplast can advise customers in situations where virgin polyethylene would be the most appropriate choice for their requirements.